With a week to go for the polls in the key Darjeeling Lok Sabha constituency of West Bengal, the political atmosphere in the hill districts of Darjeeling and Kalimpong, already inspired by changing electoral alignments, could not have turned more febrile. 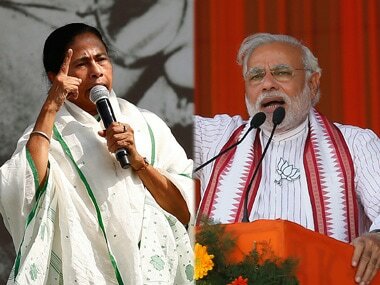 Chief Minister Mamata Banerjee and BJP’s national president Amit Shah both chose the same day to hold rallies with an eye on wooing the crucial hill electorate only goes to show how high the stakes are. Quite predictably both the leaders on Thursday dwelt on, besides the expected mud-slinging — issues pertaining to the Gorkha identity — a sensitive issue loaded with emotive potential and which has undeniable political consequence in the hills. Allaying fears that Gorkhas could be affected if the proposed Citizenship (Amendment) Bill, 2019 is put into effect, Shah said at a public meeting in Kalimpong that the BJP will ensure citizenship of all Gorkhas who might have settled in the country from neighbouring countries like Nepal. His assurance comes eight days after Prime Minister Narendra Modi had dispelled in the foothills similar apprehensions within the Gorkhas in regard to the National Register of Citizens (NRC). Less than a three-hour drive westwards across the hills Banerjee assured her audience in Darjeeling of “safeguarding the Gorkha identity”, promising necessary provisos within the ambit of the Gorkhaland Territorial Administration — the regional quasi-autonomous body — “so that the Gorkha identity is never undermined”. She also called for a better working relationship between the hills and (the plains of) Bengal”, implicitly redlining, yet again, the statehood demand, so strongly embedded in the collective local political imagination. “Delhi helps fomenting disturbances (in the hills) believing that more the disturbances the greater the political dividend (for the BJP)” – a charge she has also earlier made in reference to the Gorkhaland agitation in the hills. 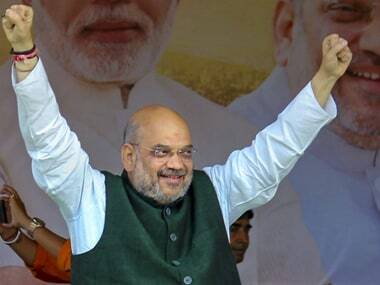 His party will win at least 23 (out of the 42) seats in West Bengal which “will sound the death knell of Mamata”, Shah, asserted, even as Banerjee not just claimed that “we (Trinamool Congress) will win all 42 seats in West Bengal” but also would play a leading role in forming the next government at the Centre. The BJP had to put up with public ire for allegedly failing to take forward the demands of the hill people since assuming power in 2014. In a change of tenor, however, it has promised in its 2019 election manifesto attempts to find a permanent political solution to the problems of the region. This is in contrast to earlier assurances of sympathetically examining and appropriately considering the demands of the Gorkhas. 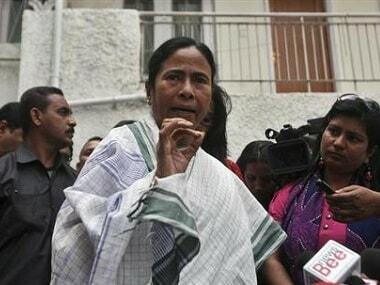 It has also now stated that it would consider the conferment of Scheduled Tribes status to 11 hill communities, even though Banerjee in Darjeeling accused the BJP of sitting on the same proposal made by her government in 2014. 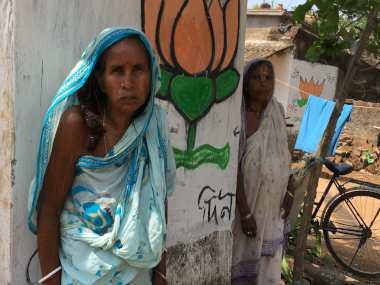 “They (the NDA government) did not do a thing (regarding the matter) for the past five years,” she pointed out. This time around it is an election with a difference in the hills. Unlike past occasions the hill vote is expected to be fractured, carrying with it the potential of upsetting political calculations. 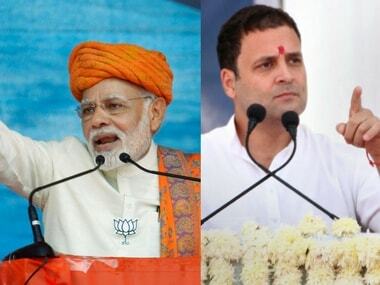 Both the major players — the BJP that is seeking to retain the seat, and the Trinamool Congress aiming to register a maiden victory — depend largely on the support of the two rival factions within the Gorkha Janmukti Morcha (GJM) that indisputably remains the principal political force in the region. It is this tussle for supremacy within the GJM between the surrogates of the two main contenders in the hills that could well determine not just the final electoral outcome but go a long way in determining the political future of the region. A sub-plot not to be missed to the electoral saga unfolding in the hills will be the contest between the Banerjee-backed Binay Tamang-led faction in the GJM and its rival BJP- supported Bimal Gurung camp. For both these groupings, the coming polls are a platform to legitimise their opposing claims of party leadership, directed at the same social constituency they seek to represent. The polarisation of the hill electorate on this count is significant. It could be argued that the GJM split was engineered by both the Trinamool Congress and the BJP to further their own political interests in the hills where for long it is the regional parties that have been calling the shots. Neither of the two parties can do without the support of the GJM in electoral contests and the on-going factionalism within it can be dated back to the aftermath of June-September 2017 agitation for a separate Gorkhaland state which the GJM — till then a single entity — had spearheaded. Meanwhile, Bimal, against whom a raft of charges was slapped by the police administration in connection with the 2017 agitation and an associate have filed anticipatory bail petitions before the circuit bench of the Calcutta High Court in Jalpaiguri on 5 April, a day after he called off a proposed visit to north Bengal fearing trouble. The pleas are to be heard later this month. Though having stayed away from the hills since the charges were filed against him he has been raising the demand for statehood and exhorting voters, through the social media, to come out in support of the BJP on the day of polling. His success in cobbling up a last-minute alliance with some other regional political outfits including the Gorkha National Liberation Front (GNLF) is not only indicative of the clout he still commands in the hills; it has also significantly boosted the prospects of the BJP in the polls.